People all over the country ask us that question. They have heard about the Prison Entrepreneurship Program‘s unprecedented results and want to learn how they can replicate them in other states. Many ask us to share our curriculum or to tell them how we successful recruit hundreds of executive volunteers to join us in prison. Others ask about the impact of the remarkable public-private partnership that we have formed with the Texas Department of Criminal Justice or the academic partnership that we have formed with Baylor University. These things are important, we tell them, but they are not the primary cause of our impact. Without question — the source of our strength lies in the culture that we have created through the hearts and the hard work of our participants. 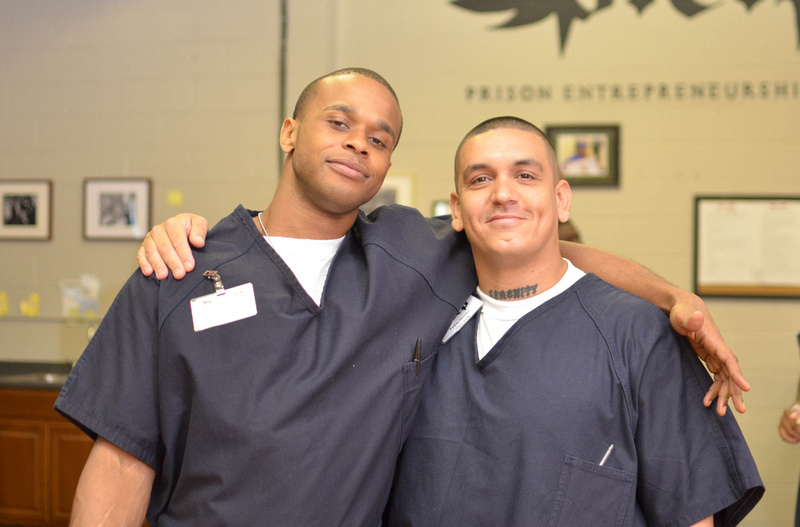 The brotherhood that our participants form inside the prison is our strongest tool in rebuilding lives. Today, we had a great reminder of the impact of this brotherhood. Charles H. and Fabian M. were both graduates of PEP’s Class “Celestial” 17. Despite coming from very different backgrounds, they overcame the harsh racial divides that are typical inside of prison and became friends. Indeed, their friendship became such a source of strength that both men were named finalists in our Business Plan Competition. Fabian was even profiled on national Fox News when he won that competition. Since their release from prison, both men have re-established their lives. They have not only remained friends, but both are now loyal donors to PEP. And today, we are humbled to share that they have jointly committed to a $1,000 sponsorship of the Class 21 Business Plan Competition and Graduation on June 6, 2014. Their gift will support the families of PEP participants whom they have not even met. Their only bond is the PEP Brotherhood that Charles and Fabian helped us to form, and which their continued commitment allows us to strengthen. Thank you, Charles and Fabian, for your inspiring lives! If you would like to attend the Class 21 graduation in prison to meet the families whom Charles and Fabian have sponsored, RSVP here.